Welcome and thank you for your interest in PDM University. Established by Prabhu Dayal Memorial Religious & Educational Association (PDMREA) in 1995, PDM has always worked to cultivate academic freedom under a spirit of self –reliance among the youth of the nation. Over the last two decades, the group has seen an exponential growth and success in the field of education because of the tremendous efforts of its staff members and students. 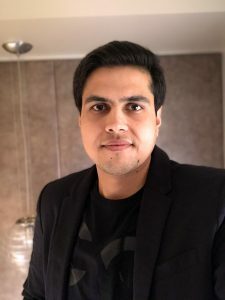 Not only this, the group has also made tangible progress towards its founder’s dream to create a community of learning that crosses cultural boundaries and produce global leaders.  PDM University is the newest addition to the rich and distinguished history of the group that continues to serve the nation through 21st century innovation, research, and scholarship. The university is continuously evolving to meet the challenges and innovation of the future while maintaining a tradition of excellence, accessibility and community partnership. With unwavering support from our staff, students, alumni and friends, we continue to open up new horizons. Student success is our highest priority- we offer a strong selection of academic programs reflecting today’s high demand fields. At PDM, students have access to latest technologies and new facilities that support their learning process and make them thoroughly competent to face the challenges in their future. The highly skilled and experienced faculty members create a pleasant and inviting atmosphere for our students to acquire new experiences, pursue their interests, and expand their potential. Apart from this, the university is continuously strengthening its ties with the industry to provide windows that will allow students to make the best practical use of abilities they have developed at the university. With all these extraordinary elements, we play a major role in furthering nation’s cultural, social, business and economic development. For you, the next few years will be exciting, full of opportunity and growth. Academic brilliance is the trademark of PDM University, but I urge you to take full advantage of the many opportunities at PDM. Our prime motto is to encourage all of you and enable you to follow your interest. We are committed to provide you with the finest academic preparations for successful careers. The future of the PDM University is very bright, and I am honored to be part of this extraordinary institution. Together with the Governing Body, the Board of Management, the Chancellor, the students, alumni, faculty and staff of PDM University, I take great pride in welcoming you to our academic community. I wish you all the best as you embark on a beautiful journey at PDM. Thank you for visiting our webpage. I look forward to hearing from you directly should you wish to share your comments and suggestions.